Clay Art dinnerware is skillfully designed dinnerware that is rather bright and cheerful. The designed collections of Formation Brands now feature Clay Art designs through specialty tabletop items and drinkware since they acquired the company in 2009. Prior to coming a part of Formation Brands, Clay Art, founded in the late 70s, was known for producing collectible items such as salt and pepper shakers, cookie jars and decorative masks. Dinnerware collections were produced for a short time featuring whimsical patterns of decorative dinnerware. The original dinnerware collections produced under the Clay Art brand are still available through second hand sources and replacement companies. This is not a full list, but it includes several of the most-wanted patterns. In addition to these, there are also many tabletop items and collectibles in the Clay Arts brand. 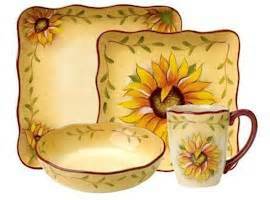 My favorite dinnerware pattern is the Rise and Shine pattern which is sunflower dinnerware. The scalloped, square dinnerware plates feature sunflowers and vines with a brown trim and a rustic looking background. A lot of the patterns go along with a Southwest theme or an Italian theme perfectly. There are floral patterns that are very detailed and cheerful. The Medallion pattern and the Garden Terrace pattern are very appealing and take on a sophisticated appearance. The dinnerware collections from Clay Art are definitely decorative and reflect the talent of the artist that designed it. Clay Art is just one of the brands offered by Formation Brands LLC. It represents a playful ceramic line. The Clay Art mugs from the designed collections that were produced after the acquisition of the brand are so cute. Formation seems to be keeping Clay Art products lively and fun-filled. A vintage Clay Art dinnerware set is certainly a great choice for interesting and unique decorative dinnerware. The vision of the brand under new ownership looks interesting as well. 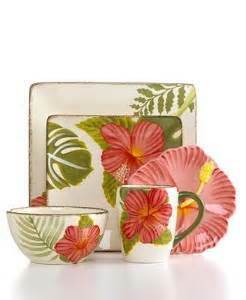 The serving sets and tabletop items are very creative and great for entertaining.